This recipe makes a yummy and filling dinner. Filled with good things like tofu, veggies, peanut butter, soy sauce and rice. This dish often comes to mind if I am in the mod for something with a peanut sauce. I also like how the dish consist of three different ingredients that sort of get combined on your plate. The first time I made this I had a bit of trouble timing to have everything right at the same time, but the second time I made it, it went a lot easier already. This dish combines tofu in a rich peanut sauce, with salty soy sauce broccoli and plain rice. It’s so good! This recipe feeds about 2-3 people. First cut the broccoli into smaller pieces. Then cook for about 10 minutes. In the meantime, slice and dice the onion into small pieces. Set aside or put it in an empty wok, but don’t heat it yet. Now slice the tofu into small cubes. In a pan heat some oil and bake the tofu for about 20 minutes. Keep stirring regularly. Once the broccoli is done cooking, drain and set aside. In a medium sized bowl combine two tablespoons of soy sauce with the peanut butter, sugar and sweet chili sauce. Add a bit of water and stir well. Set aside. Once the tofu is almost done baking, start cooking the rice. In the meantime heat the oil in the wok and bake the onion until translucent. Then add the cooked broccoli to the wok and 2 tablespoons soy sauce. Add the peanut sauce to the tofu and stir well, add some extra water if necessary. 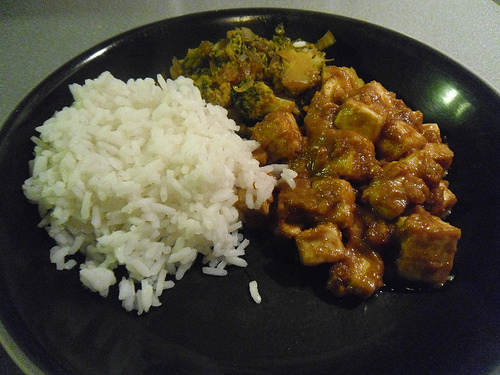 Once the rice is done cooking, drain the rice and serve the rice with the tofu and broccoli. Enjoy your dinner! Vary with veggies. Instead of broccoli you can also use any other vegetable you like, think of red bell pepper, mushrooms, carrot, spinach, chickpeas etc. Or a combination of those. Add some spice if you like your dishes a bit more hot you could add some more sweet chili sauce to the peanut sauce or use sriracha sauce instead. Another option would be to add some sambal to the veggies or tofu sauce. Have you ever eaten a budha bowl or something similar to this? Yes, this sounds quick and easy. I’ll have to try it since I have all the ingredients. 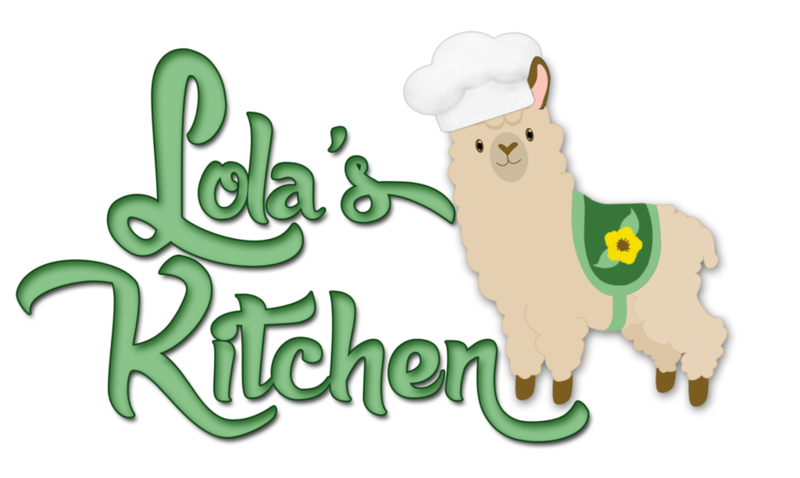 Thanks, Lola! It’s a great dish, we just had this for dinner yesterday :). I really like the blend of flavors in this dish. Let me know how it goes if you decide to give it a try! This sounds delicious. I’m not 100% sure about the peanut butter and that’s mainly because I’ve tried makin soy, peanut butter, ginger dishes before and always wound up throwing it out. However, the dish itself looks yummy. I’ll have to pick up tofu when I go to the store next week. I really like dishes with peanut butter and I think combined with soy sauce it makes for a good sauce. I think I have multiple recipes up here involving peanut butter. You could always try it with another sauce instead or use some spices to flavor the tofu. Let me know how it goes if you give it a try! I’ve never had tofu so I’m not sure what I’d like. Thanks for sharing though, and I LOVE the look of it. I didn’t like tofu at first, but in my opinion it really depends on how you prepare it. I especially like to bake it first for about 20 minutes before using it in a dish as then it gets a bit crispy on the outside and more dry and firm. And if you don’t like tofu, you could also use chicken for example for in the peanut sauce. I have tofu sometimes in frozen meals that I buy and heat in the oven, but I’ve never actually cooked it myself. I don’t like peanut butter though, so this would not be for me. You are, however, making me hungry for some sort of broccoli stir fry lol. I love peanut butter, so I always like finding new dishes with peanut butter in it. But you could always just spice the tofu in a different way or use a different sauce for it. I rarely eat broccoli, but I really like it in this dish, I might have to make it more often. That sounds interesting. I’e never had tofu. I have never tried out Tofu, but you make this sound so delicous. So I see I will need to try it out. 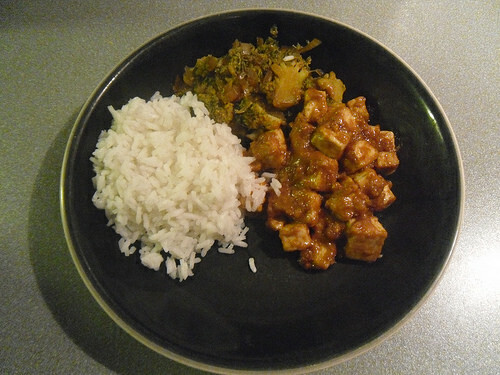 My first experiences with tofu weren’t too good, but it really depends on how you prepare it. In this dish it’s great. I like to bake it until it’s a bit crunchy and only then add the sauce or add it to whatever I am making. I haven’t cooked tofu in ages because I always fail. 🙁 Maybe I should try this recipe. It sounds so good and looks really hard to mess it up LOL. I love anything with Peanut Butter and Sweet Chili Sauce! Mmmm! Yummy! I love tofu with peanut sauce. So good. Tofu and peanut sauce go so well together, yum!